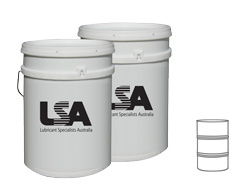 Outstanding multi-purpose extreme pressure lithium hydroxyl-stearate NLGI 0 grease recommended for use where a softer grease is necessary for specialised greasing systems. Suitable for heavy duty plain and rolling bearings operating under harsh conditions including shock loading in wet environments. Meets a wide range of automotive, industrial and general purpose applications.